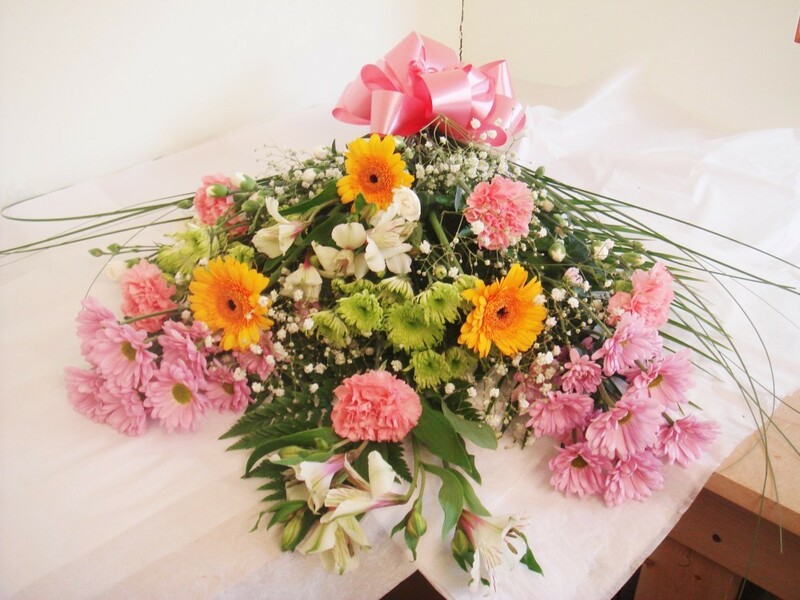 Whether you are saying Thank you, Happy Birthday or Congratulations, this mixed flower bouquet is perfect for any occasion. A wonderful selection of mixed flowers containing some of the longer lasting varieties to ensure the recipient enjoys the beauty of these flowers for longer. The Happy Times bouquet contains Chrysanthemums, Carnations, Spray Carnation, mini Gerbera, Alstroemeria and complementary foliage to ensure a beautiful display of fresh flowers which will look great in any room.